It’s that time of year again. Students everywhere are heading back to school soon and are starting to check off items on their back-to-school shopping lists. Students today aren’t just checking new backpacks, notebooks, and binders off their lists, but also the best apps for iPads or other mobile devices to help them stay organized, tackle tasks, and study better to start the school year off right and gain a scholastic edge. With all the new BYOD (bring your own device) policies and 1:1 initiatives, this educational app craze is no surprise. I’m actually a little jealous at all the cool apps out there for students today; they definitely beat those little puzzle games we used to play on graphing calculators. Here is a list of some great back to school apps for iPads on school wireless networks. 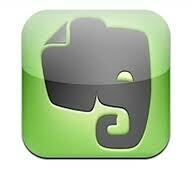 Instead of carrying around a binder full of notes you can use Evernote to keep you organized. This app is a must-have organization tool for every student that lets them create, organize, and store documents, notes, pictures, web pages, and audio files, so the days of lost or torn notes and such are over. This app is great for young students learning to read. 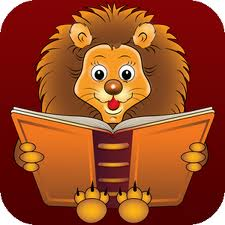 The iStoryBooks app gives you the option to read along each story while listening to the narrator or read it youreslf. The narration allows young children to practice reading and recognizing words. This app has stories for children ages 2-8 years old. Graphing calculators are not cheap back-to-school items. 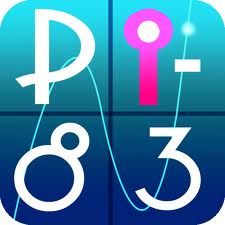 The PI83 Graphing Calculator app is a great option to help you avoid this expense. This app was created to simulate the standard Texas graphing calculators, and zoom in and out of your work giving students a much larger viewing area. For in class use on exams or quizzes, teacher can even make sure students are not navigating away from the calculator app to cheat by using the anti-cheating policy. This is a time stamped screen shot taken while open and closed times are logged. As someone who hates to have multiple apps for the same purpose, this one seems to have everything a student needs. You can take text and multimedia notes, see your classes and tasks for the day in the schedule tab, input professor contact information, get reminder alerts for homework and classes, and best of all record class lectures while taking notes. I’ve always been a fan of the tried and true flash card method when it comes to studying, and now flash cards have gone digital, so no more keeping up with stacks of note cards. They can be made and easily accessible with the Flash My Brain app which allows you to create your own flash cards with text, photos, or audio. They even have a flash card library with a ton of premade flash cards for numerous subjects. The iBooks app is a great way for students to download and read books. It’s a great way to avoid lugging around a bunch of heavy books. iBooks even keeps them easily organized and accessible on a virtual bookshelf. iBooks also includes the iBookstore where you can download everything from the classics to the latest best sellers. iBooks textbooks on the iPad are filled with interactive features, diagrams, photos, videos, and are easy to navigate to enhance learning. 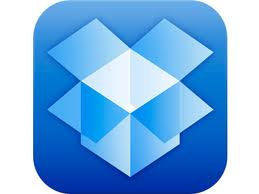 Dropbox allows you to bring all your photot, videos, and documents with you everywhere you go. Any file you save to your Dropbox is accessible from all your computers, iPhone, and iPad. This is also a great way to share information with other students and teachers. Also, if your computer crashes you can just access your files online at the Dropbox website. College students love the Amazon Student App. This app allows you to check the trade-in value of your books, electronics, etc. with a barcode scanner and get instant price-checks on things you want to buy too. 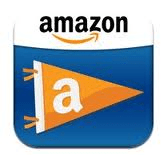 It makes it very simple for students to trade in textbooks for Amazon.com gift cards. Students also get free 2-day shipping for the first 6 months as well. 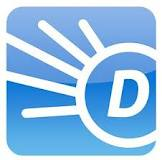 This app is the perfect reference tool for all students. It includes an English dictionary and thesaurus, word origin and history, example sentences, voice search, audio pronunciation, abbreviations, acronyms & slang content. It’s everything you need in a dictionary plus much more. This is a much easier method than lugging out and searching through pages and pages of a huge dictionary. 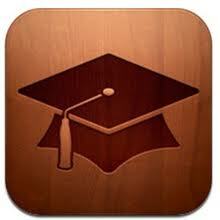 iTunes U as stated by Apple is the world’s largest digital catalog for free educational content. You can take free courses in a wide variety of subjects that were designed by real teachers and professors. A new search feature makes it easy to search within posts, assignments, notes, and materials from any of your courses. All these educational apps show some of the great benefits iPad technology in the classroom can offer your students. If you have not implemented a 1:1 initiative or BYOD on your school wireless network already, now is the time. We are experts in designing school wireless networks for secure iPad and other mobile device implementation. Feel free to contact us here with any questions of a free consultation. You can also down our Free Guide to Preparing you Network for the iPad for more great information.